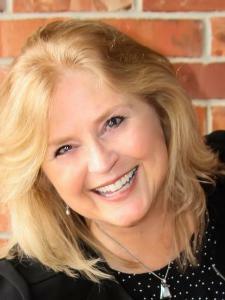 Jody Lynn Dertina has been part of the Colorado real estate world for over 26 years. Immersing herself in many facets of real estate as a residential specialist, developer, builder, property management owner, and marketing professional is just part of her Realtor experience. Her education and training also involves understanding the needs of people and helping them accomplish many of their goals and dreams. Jody’s desire to establish a business relationship with her clients is founded on the Golden Rule as well as hard work. Never taking a client for granted, she goes beyond standard practices to bring success for the people she is fortunate to serve. As a Colorado native, she has weathered the volatility of the real estate market and along with her husband’s ingenuity has found creative options and hope for her Buyers and Sellers. Surrounding her business ethic is a team of experts to bring the complete package for all her clients. Jody’s family is her heart and the joy of living in Colorado brings refreshment to her soul. She believes that everyone deserves a place to call home and she will work tirelessly to meet that goal. Call today to see how Jody can help fulfill your real estate dreams! Sold a Single Family home in 2014 in Maddox, Englewood, CO.
Jody Dertina was a friend before she was my real estate agent. Her friendship was never a hindrance to her professional dealings with me and my wife. Our house sold the day that Jody put it on the market. A strong sellers market a great agent made selling our house relatively low-stress. She is honest and caring--we would recommend her in a second!